Photos and video from the last performance of the high-octane motor stunt show at Disney's Hollywood Studios. Another attraction at the rear of the park is set to close as work begins on the redevelopment of Disney's Hollywood Studios. It had fire water cars chasing each other. In the back I still could smell the burnt rubber from the tires.They explained how they did it very well.They even lite a man on fire. It's not for small children there was a little girl behind me freaking out because she thought the man one fire really was on fire and was worried. When I look back at the videos I took of this show it's a weird sensation - I feel like I can still feel the heat from the pirotechnics - huge balls of flame shooting up as the car jumps through them. This is a great show. A great place to sit in the shade and be entertained on a hot day. You can sit mid-way up on the covered bleacher seating and it's actually very pleasant - a nice view of Hollywood Studios, sometimes a breeze. One time they even had some pretty lengthy technical difficulties to work through but we like the show so much and it was so pleasant being out of the heat that we didn't mind and waited until the show resumed. Overall a great show. I still don't know how they master some of those tricks (although we have seen them bump lightly into each other during the spinning and crazy stunt driving). It's a good show, but I'm not sure about repeat value. You tend to get the feeling that once you have seen a car do some tricks, you've seen it all. Overall a well presented and well executed show. Lights Motors Action is amazing! There are some of the best burnouts, powerslides and jumps that I have ever seen live. There is so much prescision needed to not crash with each other in the manuevers. They go through four tires every other show as well. The seating place is like a stadium and still the whole area was filled. It would be horrible to miss no matter who you are. 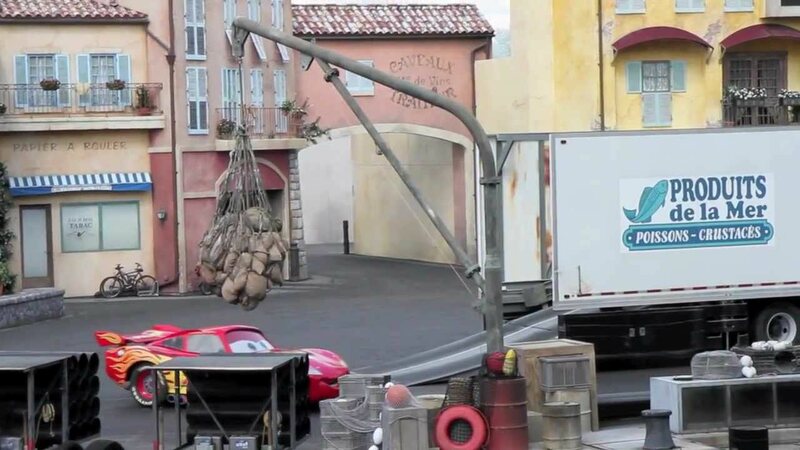 Based on the popular Stunt Show Spectacular at Disneyland Paris, 'Lights, Motors, Action! 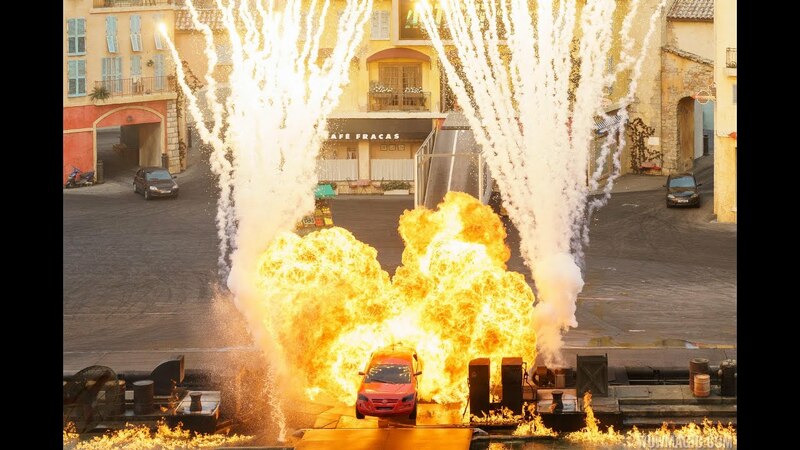 Extreme Stunt Show' is a live show featuring high speed vehicle stunts and special effects. The show runs for 35 minutes. The show is popular, and with only 2 to 4 shows per day, arrive 30 to 45 minutes prior to the show time.